Chasing the beach blitz on foot or searching for high-country trout, you have to cover a lot of ground. The Stealth Atom Sling is built to move, and comfortably hauls a day’s worth of gear on your back; when you stop to change flies, the bag easily slides around to the front for easy access. With a 15-liter volume, the Stealth Atom holds two large fly boxes and has organizing pockets with hook-and-loop closures for all the necessary doodads. Need a flat work surface? The molded, front-zippered panel drops open to create a miniature fly-tying table. Made from light, tough and water-repellent 5.5-oz CORDURA 86% nylon/14% polyester ripstop with a polyurethane coating and a DWR (durable water repellent) finish, our newest version of the Stealth Atom Sling also features the iconic Fitz Roy Trout logo molded into the back panel. 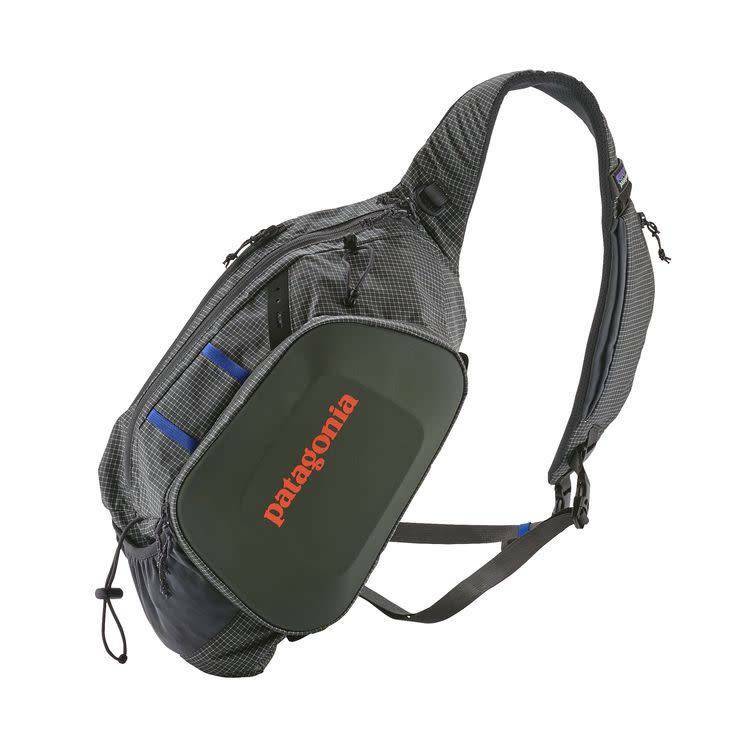 Additional details include a top-access, mesh-lined security pocket; an internal TPU-welded waterproof phone/camera pocket; a single external water-bottle pocket with security keeper; a new external tippet holder; a stretch-woven back panel for comfort; highly water-repellent exterior YKK® zippers; and a fully adjustable strap to allow for layering.